Teach us how to set up bank accounts, pay bills and budget. This is the request from a group of young people in Wales. They want to make changes to the curriculum and implement a more practical education system. 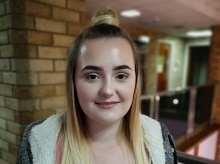 Sophie Bishop, 16, led the group from Monmouthshire, on their campaign to introduce lessons which focus on life skills not yet taught in schools. 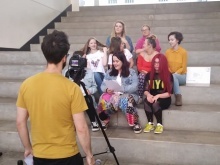 The group worked with Fixers to create a film titled ‘Life Lessons’ to share their views on what subjects they want added to the curriculum. These extra lessons include teaching young people how to set up a bank account, budgeting, mortgages, politics and preparing for future job interviews. 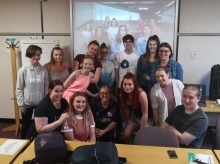 Sophie added: ‘These lessons would be helpful for young people to succeed in the future and would give them more confidence going into adult life. Sutton Trust Surveys completed by students, teachers and employers by Sutton Trust found 88 per cent of young people, 97 per cent of teachers and 94 per cent of employers said life skills are the same or more important than academic qualifications. ‘We feel there should be specific staff for different lessons who are experts in their field so future generations can go forward in life with the essential skills they need to succeed,’ explained Sophie.